Hayes Pump distributes Sandpiper Pumps by Warren Rupp. This broad line of air-operated double diaphragm (AODD) pumps specializes in offering Standard Duty, Containment Duty, Heavy Duty Ball and Heavy Duty Flap Valve pumps, Special Duty and Natural Gas Pumps. Surge Dampeners, Filter Regulators and Level Controls. Hayes Pump is a factory-trained, stocking distributor for Sandpiper Pumps and provides local support and inventory. 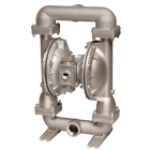 Hayes Pump offers Sandpiper air diaphragm pumps in Maine, Massachusetts, Vermont, New Hampshire, Rhode Island, Connecticut, New Jersey, Greater New York City Metro and Eastern New York State. Reduce your total cost of ownership by talking to our application engineers. We can help you select the best type and size of pump that will lower the total cost (initial investment, repair, labor and energy costs). 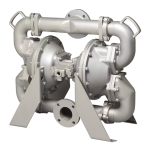 Pumping requirements (flow & head) for most applications can be met by multiple sizes of pumps. The right selection will ensure return on the initial investment – often measurable in weeks. For more than 50 years, Warren Rupp, Inc. has been a leading manufacturer of air-operated double diaphragm (AODD) pumps. Sandpiper pumps, the original Warren Rupp pump brand has the broadest range of pump sizes, types and models. 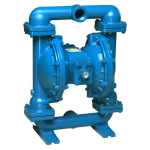 Sandpiper AODD pumps can be found in Petrochemical plants, Oil and Gas fields, food processing, mining, marine and various other applications. Warren Rupp is a unit of IDEX Corporation. For the most severe applications and environments, Sandpiper Signature Series features the Containment Duty, Heavy Duty Flap and Heavy Duty Ball. 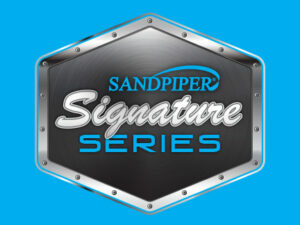 Sandpiper Signature Series of AODD pumps are engineered to provide industry leading durability and performance. Request a Signature Series Brochure by completing form on the right. The most leak proof AODD pump today, Containment DutyMetallic and Non-Metallic Pumps are ideal for highly corrosive and hazardous chemical fluid requirements and are designed with containment chambers that accommodate visual, mechanical and low voltage leak detection devices. They are exclusively designed with hydraulically balanced/coupled pumping diaphragm and driver diaphragm assemblies. They are constructed of Aluminum, Cast Iron, Stainless Steel, Alloy C, Polypropylene and PVDF with TPE (thermal plastic elastomers), PTFE options in diaphragms and check valves. Heavy Duty Flap Pumps can handle abrasive slurries, suspended and non-suspended solids and line-size solids requirements. HDF Pumps provide superior suction lift and are enhanced with an extended wear package. All SANDPIPER® Heavy Duty Flap Pumps are configured with bottom discharge porting to prevent settling solids from shortening pump life and provide superior suction lift. 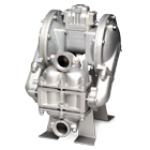 Most HDF pumps are thick wall constructed of Sand Casted Aluminum, Cast Iron and Stainless Steel with elastomer and TPE (thermal plastic elastomer) diaphragms and check valves. Heavy Duty Ball pumps are ideal for think to highly viscous and small solids-laden fluids, while providing greater suction lift capability. HDF pumps have exclusive variable porting options and an extended wear package. 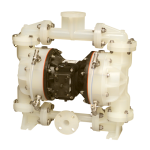 HDB pumps are thick wall constructed of Sand Casted Aluminum, Cast Iron, Stainless Steel or Alloy C with elastomer, TPE (thermal plastic elastomers) and PTFE options in diaphragms and check valves. Standard Duty Pumps are ideally suited for intermittent / on-demand, portable moderately abrasive fluids and suspended solids. SD pumps are the most popular line, offering a large variety of performance and application capabilities. Hayes will work with SANDPIPER Pumps to offer solutions for Special Duty needs. From Built-to-Order, Multi-Pump Systems and meeting UL or FDA compliance, to high efficiency or submersible dewatering solutions and more. Selection includes Oil & Gas, High Efficiency, UL Compliant, Submersible Centrifugal, Premium FDA, Standard FDA, Mining Construction, High Pressure, Filter Press Systems, Wastewater. 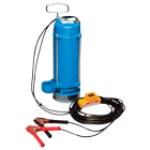 SANDPIPER Drillers Series Pumps operate on compressed air and are designed for the toughest drilling applications. The G-Series dual power pumps certified for safety and reliability in the double diaphragm pump industry. Hayes Pump has fully equipped, factory authorized service and repair facilities. Warren Rupp, Inc. (“Warren Rupp”) warrants to the original end use purchaser that no product sold by Warren Rupp that bears a Warren Rupp brand shall fail under normal use and service due to a defect in material or workmanship within five years from the date of shipment from Warren Rupp’s factory. Warren Rupp brands include SANDPIPER ® , MARATHON ® , PortaPump ® , SludgeMaster™ and Tranquilizer. Automotive, Ceramics, Chemical, Coatings, Construction, Food Processing, Marine, Mining, Oil & Gas, Pulp & Paper, Personal Care, Pharmaceutical, Wastewater. 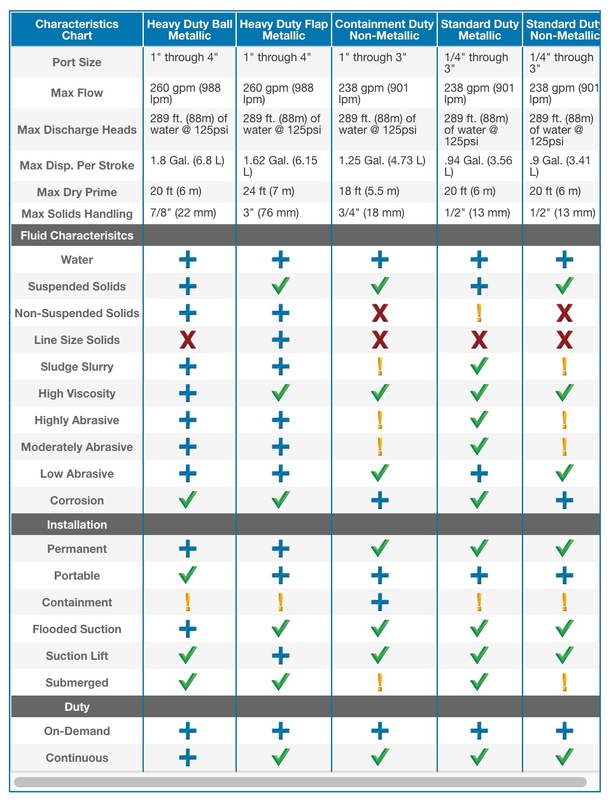 +What Makes Sandpiper Pumps Best for Heavy Duty Applications – a Competitor Comparison?